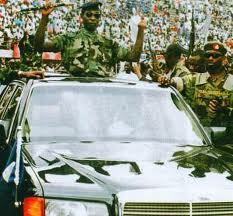 On Thursday 30th April 1992, in a very passionate address to the nation, a young president of Sierra Leone – Captain Valentine Strasser (photo), had this to say about the APC: “Fellow citizens, for over 23 years we have been misruled by an oppressive, corrupt, exploitative and tribalistic bunch of crooks and traitors, under the umbrella of the APC (All people’s Congress) government. In 2015, almost eight years into the Koroma presidency, memories of that same old APC has been brought back to life – oppression, corruption, exploitation, nepotism, gross mismanagement of natural resources, near collapse of our economy, near collapse of our health sector, the falling standards of education, abuse of state institutions and the erosion of human rights. This sad state of affairs has created an opportunity for the SLPP to at least assure a public that has lost every faith in this present government and ruling party, that Sierra Leone can become a better country. But this means that the SLPP has to be more pragmatic in the face of challenges. And one of the recent challenges has been the expulsion of Ambassador Allie Bangura. It is no gain saying that the media war surrounding his expulsion, is nothing other than a mere distraction as the matters brought before the Supreme Court. Even as someone who believes in the right of everyone to seek legal redress if aggrieved, it must be said that the courts have never been the most appropriate platform for resolving political grievances or internal party disputes – especially for an opposition party. (Photo: Allie Bangura). 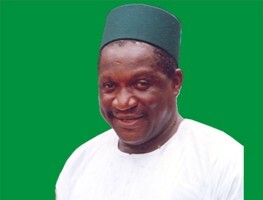 For instance, after years of court battle in the run up to the 2007 elections, by April 2007 the APC party had to settle their internal party disputes out of court. This was an indication that without an internal party settlement – whichever side might have won in the court, could have left the APC more divided and exposed to public ridicule. Therefore, in the face of an application to seek an injunction against the SLPP, the party had to act pragmatically by issuing an expulsion order as a last resort, after several peace initiatives had either failed or proved unproductive. No doubt, Ambassador Allie Bangura has made his own contributions to SLPP. But it is equally true that SLPP contributed so much to making him what he is today. It is the responsibility of every well-meaning SLPP member to ensure that the party is united. This means it is about making political compromises, and put an end to the mentality which says: “If I do not have it, no one else should have it” or “It’s us versus them”. Unfortunately, I heard Ambassador Allie Bangura on Radio FM 98.1 on Thursday last week, making the claim severally, that his expulsion is part of plans to coronate a “single flagbearer”. But it was this “single flagbearer” in August 2011, who contested alongside 18 other candidates and won, even when he did not have the backing of the then Executive. So why should this “single flagbearer” require a coronation, when he has always subjected himself to the electoral process since 2005, and regardless of the outcomes, has always put the SLPP above his personal interest? With respect to Ambassador Allie Bangura making such a claim, he is exposing himself to the rather unfortunate charge and accusation of being used as a proxy for certain flagbearer aspirant(s). And his utterances and associations do not make him any neutral either. We must be pragmatic enough to know that we cannot spend more time demonising fellow SLPP members, than exposing the gross incompetence of an APC government which cannot even be trusted with an Ebola swab result of a nine month old baby in Kailahun. But similarly, in our pursuit to unify the SLPP we have to be pragmatic enough to ensure there is internal party discipline and respect for party authorities. Therefore, the expulsion of Ambassador Allie Bangura should create an opportunity for him to reconsider his court actions against the party, as well as use every available means to settle his grievances through internal party mechanisms. No party succeeds without internal party discipline, respect for party authority and the agreed internal party peace processes. (Photo: Yusuf Keketoma Sandi). To be pragmatic, we also have to create a culture in the SLPP of having the ability to have disagreement without being disagreeable. Every political party with a rich history of internal party democracy like ours, must ensure that every member or group of members is entitled to their opinion, whether it is about the choice of leadership for our party or its direction of travel. We must respect and value those differences and engage in civilised and decent debates. But such disagreements should never make us disagreeable to a point of becoming hateful, vile or offensive to one another. I passionately believe in the SLPP as the only party to rescue our country from what will be a decade of poverty under APC, by the end of President Koroma’s second term. 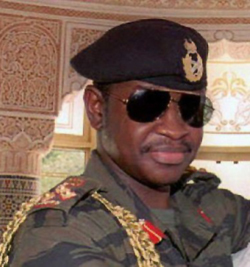 I also very passionately believe that the best person with the credibility, the test of character, the overwhelming popularity, the wealth of experience and the abundance of energy to lead SLPP to embark on that rescue mission of our country is the Retired Brigadier Julius Maada Bio (Photo). If anyone disagrees with my beliefs we can have a decent debate without being disagreeable, because for us to prepare SLPP for governance we have to be pragmatic, which also means that we have to settle internal party disputes through internal party peace process. We must stop demonising fellow SLPP members and show internal party discipline and respect, for those elected to manage the party’s affairs. Maada Bio is a person I like and for whom I harbour no negative feelings. But politicians have to be pragmatic and flexible in order to survive. Maada Bio does not have the popularity that goes beyond the borders of the south east. SLPP needs a candidate that can be accepted nation wide. We Mendes have a tendency to be sentimental with politics. But sentiments are not what is required now. In politics there are no permanent friends or enemies, but permanent interest. And losing another election with Maada at the helm of affairs will destroy SLPP. Valentine Strasser wasn’t a “Young President,” he was a successful coupist whose fellow power-grabbers conferred the title of “President” on him. The NPRC may have done the country a favour getting rid of the entrenched and corrupt APC One-Party system but that does not give them the political legitimacy to be called “President” and “Government”. Real Presidents are supposed to be voted for by the people in elections, not given power through the barrel of the gun. My sentence should have read post war recovery, but as you know once you make an error there is no way to correct it here. Below is a link that shows the amount of aid Sierra Leone has received in recent years. When I looked at reports starting as far back as 2006, the country received $360 million in aid back then. Now it’s over $400 million. Add the debt forgiveness and there is no reason the people are living this way. You have to want better for your people and not the select few who have exploited the resources in both APC and SLPP administrations. If you add up what Sierra Leone has received in aid and debt forgiveness since the end of the war; if every man, woman, and child were given his own portion, they would all be rich. Considering the very small amount of income people earn there, even $10,000-$15,000 would be significant for someone to start a business. These administrations have very little to show for the amount of aid that has poured into that country. The solution in Sierra Leone is not APC, SLPP or Maada Bio. It will take well wishing and patriotic Sierra Leoneans to change this nation. Maada Bio had his own chance long enough. Ghana was changed by one Patriotic man – J Rawlings. Today everybody is proud of Ghana. The NPRC – including Maada Bio spent their time in power roving for women and fighting for diamonds. 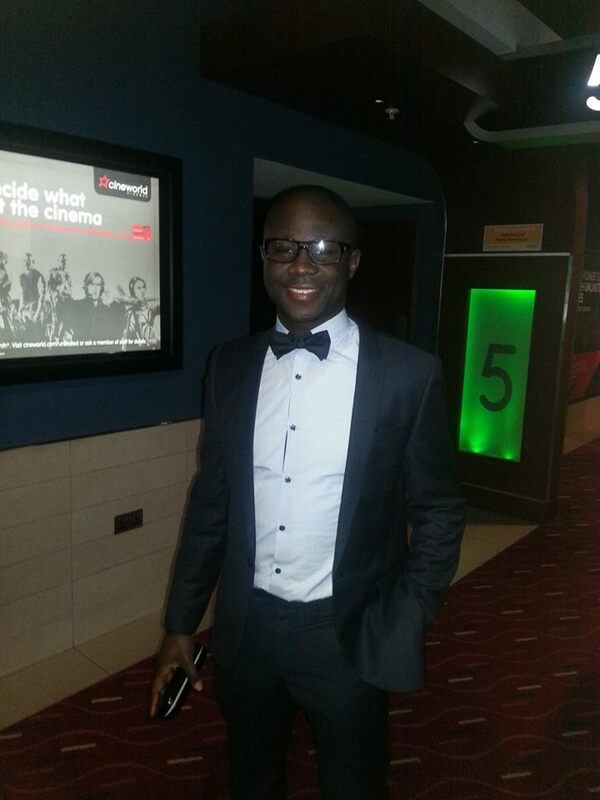 After Maada Bio left power, he headed to Ghana for business. 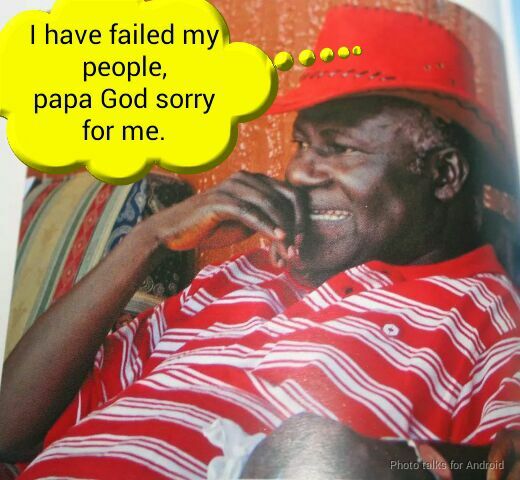 What trust can sierra Leoneans bestow on such a leader. Lets stop this issue of nepotism and tribalism, it will not take us anywhere as a nation. It will just continue to get our people into more deplorable conditions by bringing in the same recycled old politicians. This article must be deeply concerning to any Sierra Leonean who is yearning for genuine change and it demonstrates why the SLPP cannot be trusted with bringing that change. It also demonstrate the pitfalls that Kandeh Yumkella would face if he does not broaden his appeal and reach out to well meaning Sierra Leoneans. Anyone who still believes that Maada Bio is the person to lead Sierra Leone is either delusional or self seeking, and cannot claim to have the best interest of Sierra Leone. Mr Bio is unfit to represent Sierra Leone as our Counsul to the Pitcairn Island. The man has so many skeletons (both literally and figuratively) to account for. To those who are still pursuing justice for lost loved ones, I am not seeking to trivialise your loss. Sierra Leone can do without these praise singers who put out stupid articles so that they would be remembered when the goodies are being doled out. It is this cynical and calculated approach to politics, why Sierra Leone need to rid itself of both APC and SLPP. Keketoma Sandi, what is or are the crimes of Mr. Alie Bangura for which the SLPP constitution stipulates that defaulters in the party should be expelled when they breach such provision? Please do not state that the SLPP constitution makes it a crime that warrant the expulsion of a member who takes the party to court for things that he or she views are illegal acts by some of the executive members in the party. If that provision exist in your party constitution, then the PPRC should review your constitution so as to determine whether or not it should exist as a political party in the country. The APC that you are citing as an example in 2007 decided to settle their matter out of court after almost 4 years in court. None of the litigants was or were expelled. Nonpartisan, how much Ebola money are you talking about that could have made 6 million Sierra Leoneans become individual Millionaires when shared? Because according to my class 5 arithmetic, 6,000,000 x 1,000,000 = 6, 000,000,000,000 (six billions). Can you please tell us who received six billion for Ebola? Who gave it and what is/are your source of information? In as much as that money was received for various projects, some of which was directly managed by the donor agency. The outlandish claim that if it was shared, every one of Sierra Leone’s six million people could have received 1 million is mouth watering. I don’t see Sierra Leone improving through the APC or SLPP. Both parties have deeply entrenched dysfunctional behaviors that make both parties unsuitable for leaders. The country overall seems incapable of attracting leaders who are servants. As soon as they gain power, they need to be called by these ridiculous titles – Your Worship, your Excellency and so on. Then comes the supreme authority nonsense once they become power drunk. It’s so unfortunate that most politicians in Sierra Leone are only about their own personal gain. Just imagine if every citizen had been given a cut of the post recovery money from the many donors around the world. With just 6 million people, everyone could be a millionaire. Now the money is gone and what do the people have to show for it? Ebola, filth, unemployment, poor health care, high infant and maternal mortality rates, abuse of power, loss of liberties, illiteracy, teen pregnancy, and the list goes on. For the life of me, I will never understand why these leaders shamelessly leave their people in these conditions. Then their praise singers will always lie to the entire world saying these people are turning water into wine. There has to be a shift where leaders are help accountable in a global court. Mistreating your own people like this, must be a crime against humanity. You’ve raised some very interesting issues about the prospect for SLPP becoming elected in 2018. But Bio and his supporters must accept that his powerbase does not lie outside the south of Sierra Leone. Bio can contest as many presidential elections as he can, and the result will always be the same. He will at best poll no more than 36% of the ballots, most of which are in the south of the country. Not withstanding this, Bio will need to take at least 15% of all northern ballots and also poll more than 50% in Freetown and Kono respectively. Talking about a pragmatic SLPP is good, but we must be honest with ourselves and stop deluding the people of Sierra Leone that we are different from the APC in terms of tribalism. But there is one big difference between SLPP and APC. APC will do what ever it takes to win votes in the south. Not so our SLPP, who will prefer to stick with our Ngors in the face of real politic. So if Bio wants to see his return to State House, albeit through the ballot box this time, he must change his attitude and strongly embrace northerners and creoles within the SLPP party, without whom he will continue to remain in the political doldrums. Honestly, if SLPP is serious about winning the 2017/2018 elections it must form a national coalition, with a strong leadership led by Kandeh Yumkella and supported by a Kono and Creole representation. Can SLPP and Bio do this?